Multi District event partnering with Districts 7120, 7150, 7170 and 7190. 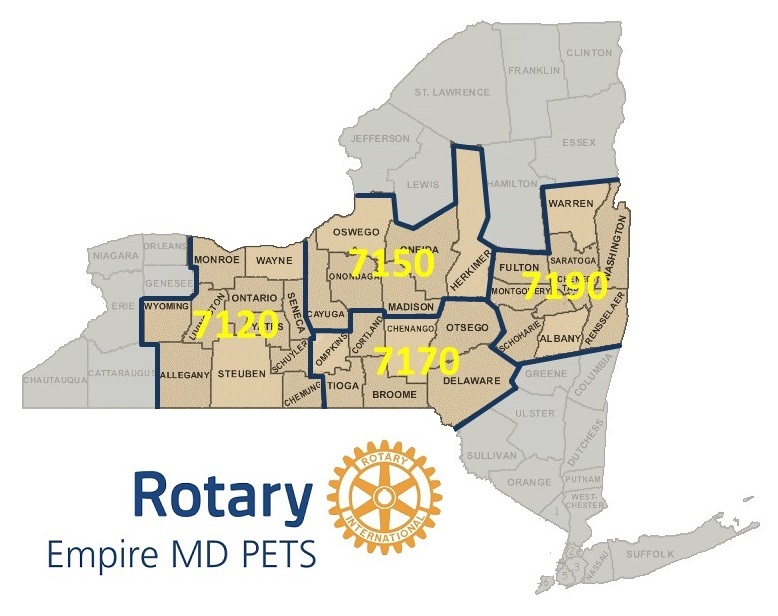 Training sessions held on Friday, March 15 and Saturday, March 16, 2019 at the Sheraton Syracuse University Hotel & Conference Center for Rotarians serving as Club President during the 2018-19 Rotary Year. The Sheraton Syracuse University Hotel is easily accessible from the NY Thruway (I-90) Exit 36 and I-81 South into Downtown Syracuse. Assistant Governor training also will be held during the weekend training sessions.